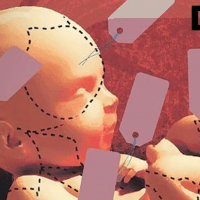 (Calvin Freiburger – LifeSiteNews) – Pro-life leaders are outraged over revelations that the federal government continues to use human tissue from abortions in medical experiments, according to documents highlighted by CNS News. A June 13, 2018 notice from the U.S. Food and Drug Administration (FDA) announces that the agency has awarded a $15,900 contract to Advanced Bioscience Resources, Inc. (ABR), a San Francisco Bay fetal tissue procurement firm, for the purpose of acquiring “Tissue for Humanized Mice.” The contract runs from July 15, 2018 to July 14, 2019. This is one of eight contracts the FDA has signed with ABR since 2012, according to the U.S. General Services Administration, all for requirements such as “Humanized Mice,” “Human Fetal Tissue,” “Tissue Procurement for Humanized Mice,” or “Human Tissue.” The revelation is particularly concerning in light of ABR’s work with Planned Parenthood in the abortion giant’s 2015 scandal over selling aborted baby parts.